Olga is a Consultant at Spinverse. Olga is part of Bioeconomy & Renewables team, and her focus is new business development and innovation strategy. 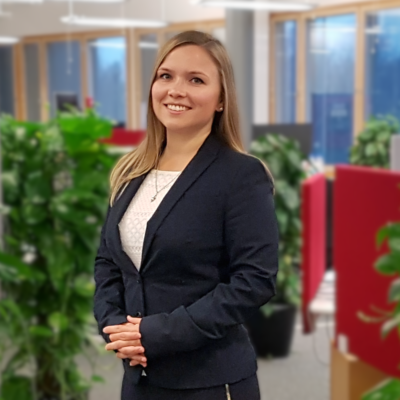 Prior to joining Spinverse, Olga has had wide range of experiences in management consulting and business development projects in IT, manufacturing and transportation industries. Olga holds M.Sc. degree in Economics and Business Administration from Aalto University School of Business, majoring in Strategy. She has also studied in St. Petersburg State Polytechnical University, Russia, and Tsinghua University, China. In her free time, Olga enjoys travelling, sports and outdoors activities, music and learning new things.